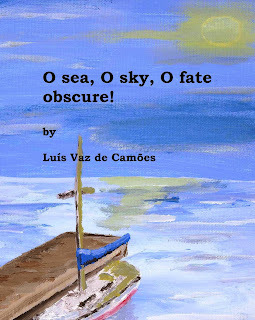 In 1572 Luís Vaz de Camões published The Lusiad, or otherwise known as The Discovery of India, about three years after his return. As Portugal was seeking news lands and wealth they naturally came across the culturally rich India. The author was impressed from his voyages and wrote an epic poem about the country of Portugal. The poem describes the Portuguese as gods among other men. Their very existence and accomplishments of the past will lead to their success in the future. In a way he sees his people as chosen among the many nations of the world. This time period in which the poem was written is seen as one of the highest times for the Portuguese culture. Their empire building began in the early 1400’s with the last handover of Macau in 1999. They had their hands in the Middle East, Americas, Africa, Europe and Asia. They are seen as one of the most powerful countries in world history. It was that perception that in WWII failed to allow them to give up some of their colonies which led to their further decline. Amazingly, just after the publishing of The Lusiad the nation took a quick dive downward breaking Camoes prediction. The period of 1580 to 1640 under the Habsburg Kings saw a dismantling of their empire. Arrogance within the society was high during this period and conflict with the Netherlands and England found that Portuguese colonies and outposts were much weaker than Spain’s and became prime targets. Our necks, unbow'd before, shall bend to thee. Haste, speed thy prows, that fated wealth to claim. With all our various tribes, shall own thy sway.